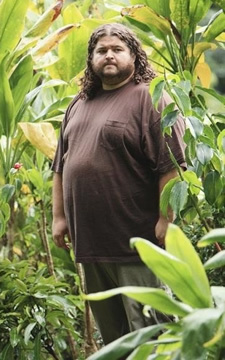 Jorge Garcia talks Lost finale, epilogue... and Walt's fate? If you’re still hungry for more Lost, Jorge Garcia has confirmed what Michael Emerson recently said about the upcoming DVD sets. An extended extra scene will be included and will show some of what happened between when Hurley became the island’s new protector and the end of the series. Garcia noted that he and Matthew Fox kept going back and forth throughout the final season, thinking one of their characters would end up as the island’s new protector. As it turned out, they were both right. What do you think? Were you surprised who ended up as the island’s new Jacob? Do you hope that Walt is part of the series epilogue? Lost: ABC Messed Up the “The End”? Lost: Premiere Date Set for Final Season, Who’ll be Back? Lost: The Final Episode Has Been Leaked! Build a bridge and get over it you crying little baby, BG. Just as a heads up to u all the scene in question WILL be on the season 6 DVD and Blu-Ray. The writer of this article has it wrong. They announced it would be on the season sets like two weeks ago. @Fill: It will be included on both the season six DVD/Blu-ray and complete series DVD/Blu-ray releases.